To keep pace with today's on demand economy, IT organisations must modernise their data center. 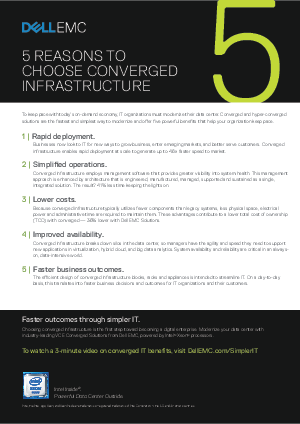 Converged and hyper-converged solutions are the fastest and simplest way to modernise and offer five powerful benefits that help your organisation keep pace. Download this checklist now to find out more.